A step-change in well control incident prevention. 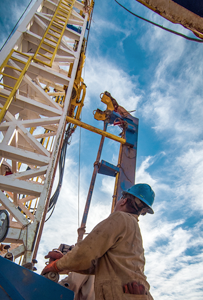 Formally established in 2013, the Well Control Institute (WCI) brings together representatives from drilling industry stakeholders to develop the comprehensive solutions necessary to significantly improve human performance in well control worldwide. The WCI is a non-profit organization, registered in Houston, Texas, and Aberdeen, Scotland, with offices in both cities. For more information, contact info@wellcontrolinstitute.org.